Fence toppers can provide an added layer of beauty and security to your fence! Fencing is an essential part of the areas surrounding a home or business. Designed well, a fence can give a home major curb appeal and add to the value of a property. Homeowners can enjoy the space in their yard and also discourages intruders, stray animals, and visiting strangers. Fences act just like blinds and shield locations from the outside world and can provide even more benefits when designed with fence toppers. 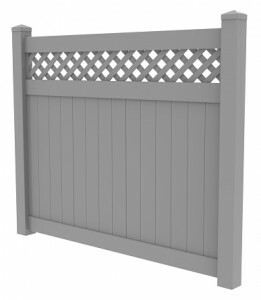 Why should you design your fence with toppers? Let’s take a look. Installing a fence with fence toppers can add some aesthetic value and create curb appeal for your property. A fence topper can be designed to complement any style, whether modern or classic, and can even match your existing outer decor. They can even add value to your home if you’re looking to sell sometime in the future as they can boost the value of a home due to its beauty. If you’re looking at a stainless steel fencing, a fence topper could be especially lucrative later on. Adding topper designs on your fence is not just good for residential fencing! Commercial spaces can gain a more professional look with fence toppers and can help businesses stand out from the pack. Investors, customers, and clients will be impressed with your attention to detail should you decide to go with a fence designed with toppers. Not all fences are designed with equal levels of safety. In some cases a fence only provides a potential intruder with a hurdle to overcome. Fence toppers, however, can give your property an added level of security if designed well with that purpose in mind. This entry was posted on Wednesday, October 26th, 2016 at 8:56 pm. Both comments and pings are currently closed.